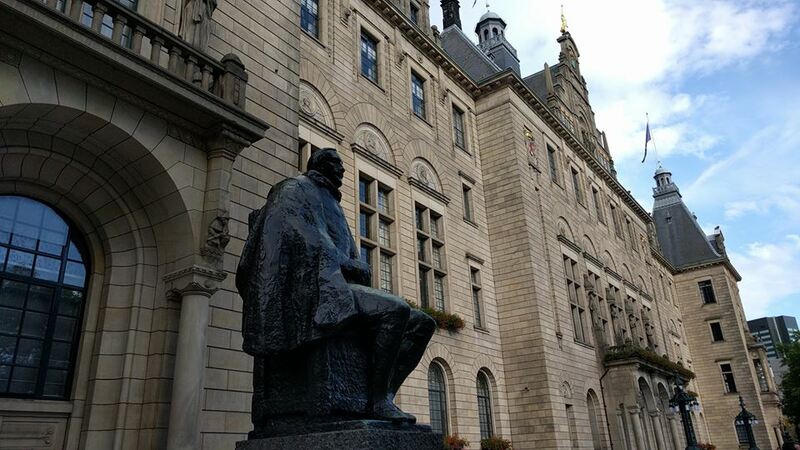 On the left side of Rotterdam's Townhall seats the statue of Hugo Grotius (or Hugo de Groot). Born in Delft, he was a prodigy child that mastered Latin and Greek early at his age. Hugo served as a pensionery (mayor) of Rotterdam in 1613 and he is the founder of International Law.